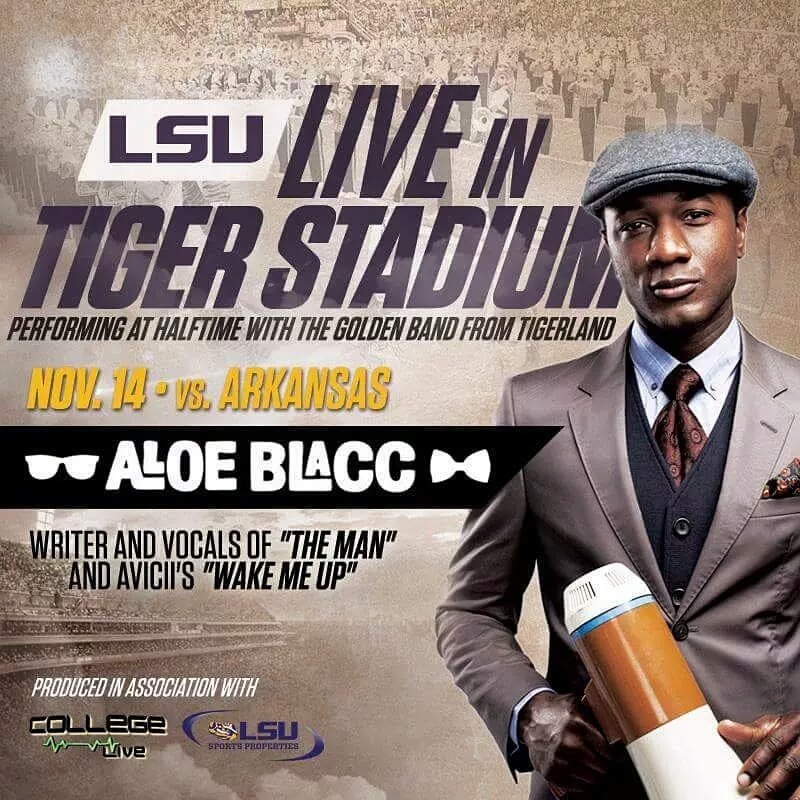 ANNOUNCEMENT: The LSU Bands will perform this year with Aloe Blacc and One Republic. The band will perform a "Super Bowl" style halftime show with both artists at separate games. One Republic will perform at the October 17th game against Florida while Aloe Blacc will join the band on November 14th for the Arkansas game. College Live LLC, is producing the show and aims to bring these types of performances to more college games in the future.